Garnering more than 15 years of experience in family law cases, Adam Stein, Attorney & Counselor at Law combines in-depth knowledge of marital, paternity, and child custody proceedings with an attentive client-focused approach to delivering professional help in a wide range of legal situations. Our highly-experienced family attorneys know the difficulties you’re going through while battling for child custody, marriage dissolution or any other family law matter. We know these legal disputes can take a toll, not only financially, but emotionally, as well, and our family lawyers are there to provide support and guidance throughout the process. By combining an extensive skill set in dealing with family law cases with a company set standard in counseling and guidance throughout the process, Adam Stein, Attorney & Counselor at Law has become one of the leading family law firms in Gwinnett. With us, you’ll receive powerful support, legal counsel, and representation as well as discrete, yet powerful emotional support to help you and everyone involved through the process with as little inconvenience as possible. Keeping your personal goals in mind, we utilize the best legal practices to ensure a positive outcome, whether it’s in paternity cases, alimony disputes or any other family law matter. Adam Stein, Attorney & Counselor at Law takes great pride in the successful track record of representing its clients looking for a family lawyer and family attorney services. With a highly professional team of legal counsel representatives, we’re here to assist you with any family law case. Throughout the process, we focus on the specific goals you’ve set, setting a legal base for your desired outcome in a court of law. With plenty of experience in various aspects of divorce, child custody, and alimony disputes, we’re your go-to family law firm for all types of legal representation and court representation. Finding middle ground in a court of law in family cases can be a difficult task. With conflicting claims set by opposing parties, it is often up to the skills and experience of the family attorney to ensure the client’s anticipated outcome. With a team of unmatched family lawyers, your case will have the stronger point, resulting in the meeting of your goal in the dispute. Georgia laws can be difficult to navigate, which is why our services include professional representation in accordance with all state bylaws and rules, ensuring that your case is not hindered by shortcomings and unforeseen consequences of legal methodology. Also, as a professional family law firm, Adam Stein, Attorney & Counselor at Law values the privacy of you and everyone involved, ensuring absolute discretion for all family law disputes and court cases. 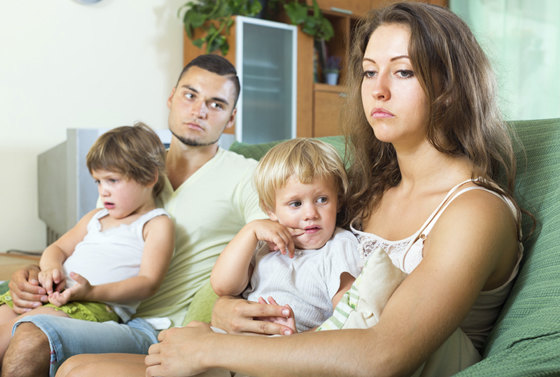 Our policy also includes providing guidance and support while going through the process, as family dissolution cases, especially when child custody, paternity, and alimony disputes are involved. Our family law attorneys will guide and consult you through each step of the process, providing a strong and reliable pillar of support while going through these tough processes. Thanks to modern communication technology and travel methods, we’re no longer limited to Gwinnett and Fulton County. By expanding our reach and offering legal representation services in more locations, Adam Stein, Attorney & Counselor at Law has become one of the leading family law firms in northwestern Georgia. If you’re in need for legal counseling and assistance in family cases, look no further! Our family law representatives are here to help with any marital, child support and paternity disputes you may have. With us, not only do you receive solid professional representation but also emotional support to guide you through the painful process.